A man stands above the crowd. He has strived for excellence, has been an advocate for others who cannot advocate for themselves, and who dedicates his time to improving a system that is outdated and unsustainable. That man is Dr. Zvi Margaliot, surgeon, specializing in hand and wrist surgery. Dr. Zvi Margaliot prepared for his specialty in hand and wrist surgery over a sixteen years of post-secondary education. His scholastic studies began at the University of Western Ontario where he earned his Honors BA in Applied Mathematics & Fluid Mechanics with the Gold Medal in the Faculty of Science, followed by a Doctor of Medicine Degree, and a Distinguished Standing award. Dr. Zvi Margaliot began his residency in Plastic Surgery at the University of Toronto in 1995. He extended his program by an additional two years to obtain his Masters of Science in Medical Biophysics, and a Clinician Scientist designation from the Royal College of Physicians and Surgeons of Canada. In 2002 he completed his training in plastic surgery and obtained his specialist certification from the Royal College of Physicians and Surgeons of Canada, to which he added one year of fellowship training in Hand and Microsurgery at the Christine M. Kleinert Institute for Hand and Microsurgery in Louisville, Kentucky. Dr. Margaliot was hired as a staff surgeon in the Division of Plastic Surgery at the University of Michigan in Ann Arbor, MI from 2003-2005, where he specialized in performing hand, wrist, and microsurgery, as well as lecturing in an academic position. In 2005 Dr. Margaliot returned to Canada where he opened his own practice for hand, wrist and microsurgery, affiliated with the Trillium Health Partners Hospital System in Mississauga. Between the years of 2005 – 2016 Dr. Zvi Margaliot built a busy and thriving practice, serving over 21 thousand patients over ten years, including many physician colleagues and their family members. Dr. Margaliot held an Associate Lecturer position at the University of Toronto, teaching medical students as well as residents in Plastic Surgery and Orthopedic Surgery, and was a consultant for the Workplace Safety and Insurance Board of Ontario (Workman’s Compensation) Specialty Hand and Wrist Program caring for severely injured workers. 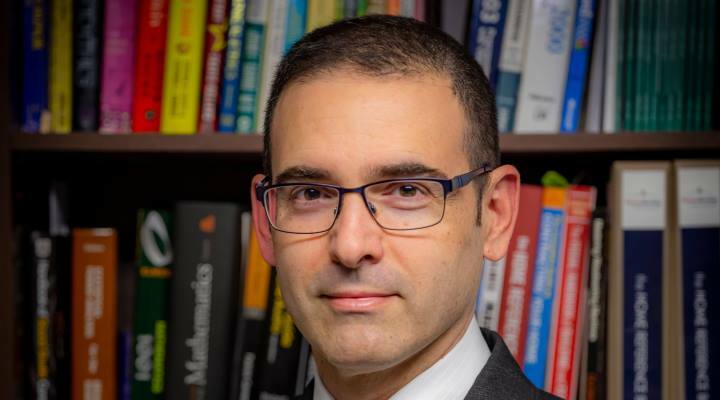 Over the past two years, Dr. Zvi Margaliot has dedicated his time to developing a business concept that he hopes will address issues plaguing patient care. The business idea will address critical issues within the industry to the benefit of both patients and surgeons throughout the country. It will offer a choice in the delivery of healthcare services that has long been absent in the Canadian system. There is a push in the medical industry to abandon habits and traditions that are not founded on science in favor of Evidence-Based Medicine. Dr. Margaliot believes we need to discard unhelpful treatments and methods in favor of those that have been scientifically tested to be beneficial and effective. We have to advocate on behalf of patients rather than focusing just on short-term cost containment and profits. During his free time, Dr. Zvi Margaliot spends his time with his children. He exercises at the gym and he has been a landscape photographer for 20 years. He is active in his religious community in study groups and volunteering. While he maintains his specialist certification by keeping current on the medical literature, he continues to learn and study a wide range of topics outside of medicine, including Philosophy, Judaic law, human psychology and self-improvement. He also enjoys classical music, woodworking, and cooking. My parents always viewed doctors with respect and admiration. Their belief in the medical profession was instilled in me at a very young age. They seem to have a very special role in society which is something that I aspired to. I thought I was going to become an academic or a mathematician or perhaps an engineer throughout undergraduate studies. In my second year in college, I decided that becoming a doctor would be a more interesting career to pursue. I had the grades to accomplish that career path. I decided that either dentistry or medicine would be more attractive to me. I had no idea which field to go into. I had no frame of reference since I did not grow up having any family or friends who were doctors. I decided to become a doctor because it offered many more avenues and options for specializing, but I had no idea what type of doctor I would like to become. Why did you choose to specialize in hand and wrist? My interest in hand surgery was suddenly peaked during a one hour lecture in my 3rd year of medical school. That lecture, by Dr. Larry Hurst of London, Ontario, was my first encounter with hand surgery, and I was just amazed by the delicate anatomy, the complexity of the injuries and the types of surgery that were possible, such as fixing broken bones, repairing nerves, tendons, arteries and veins, replacing missing tissue and restoring function. His lecture was my defining moment. I have always been interested in fixing things. Ever since I was a little kid I would take things apart just to put them back together. I knew at that moment when our lecture was over that this was what I was going to do. I knew that I would have to become a plastic surgeon so I could do hand surgery. My studies were focused in that direction. Hand surgery encompasses hundreds of different possible operations. Many surgical specialties perform only a handful of different operations, sometimes as few as only 3 or 4. Hand surgeons have to know literally hundreds of different operations and often have to find creative ways of combining operations to restore function to a badly injured hand. It challenged my creativity, knowledge and manual skills on a daily basis. I was able to keep my mind sharp and creative and help people at the same time. When you can give people back the use of their hands you give them their lives back. People do not realize how important their hands are until they lose the use of their hands due an unexpected injury or chronic disease, and it can take months or years to recover function. Restoring a person’s hands is a tremendous benefit to the person and to society. It makes me feel good about what I do. Through forming your new business what is your daily routine? I wake up very early to give myself time to pray and thank God for all that was provided for me. I come home and take my children to school, and then return to my home office to work on business development. I write business plans, arrange meetings, and connect with consultants, vendors, suppliers, and investors. I build financial projections and negotiate contracts. At some point during the day, I will convince myself to go to the gym to work out. In the evening I spend time with my kids, cook dinner when I can and help them with homework if needed. We eat together and perhaps relax and watch some TV. Most of the time, after the kids go off to bed I will continue to work on my business into the night before going to bed. Looking forward, what is the goal of your new business? What impact will it accomplish with the technology? I have an opportunity to pursue business development full time right now. I am unsure of the timing at this point. I am developing an opportunity that I hope will be fully realized in the next one to two years. It is a work in progress at the moment. The business concept is firm but still in development at the time. It is a collaboration of surgeons across Toronto that will restore choice in healthcare delivery. What do you love most about your career as a hand and wrist specialist? I love being able to take an injured hand of a patient who is frightened of their future. I reassure them and restore their ability to use their hand and regain independence. I love the thank you’s that I get when the process is complete and the internal satisfaction of doing my best to help another person. It is a very lengthy process from surgery through rehabilitation. Sometimes I am able to operate on patients and get them off chronic pain medications. Most patients are very grateful to be able to use their hands again. They sometimes drop off a thank-you note or a card. I have even received “thank you” messages on LinkedIn or on my Facebook page years after the surgery, saying “it has been five years since my surgery, thank you for saving my hand”. Nothing is more satisfying than connecting with people and impacting their life in a positive way. I get great satisfaction and happiness as that happens. My children are what matter to me the most in my life. It has taken me many years and unfortunate mistakes to have learned that lesson, and I have adjusted my life to be able to put my kids first. I have enjoyed my career and it has been very fulfilling. However, it has also been very stressful, and consumed more than its fair share of hours every week. I got to the point where my life WAS my work and it led me to disregard my priorities and ignore my true values. I recently started working in the US for a year on a part-time basis, over 3000 miles away from my family. During this time, I really had the chance to reevaluate my priorities. I went through counseling and much self-reflection to conclude that everything in my life has to be secondary to my children. I have adapted my life to give my children a priority in my life. There is nothing that I would not give up for them. I am involved in the community and at the synagogue and I work on building projects and woodworking projects. I took on several construction projects at the synagogue I attend, and I visit families in bereavement, and have sometimes driven people to their doctors’ and hospital appointments. What do you do in order to mentally separate yourself after performing surgery after surgery? The strategy that I had was to exercise on a regular basis. I would also spend time listening to classical music and doing mindful meditation. It is a wonderful way to decompress. Cooking is also a great way for me to relieve stress. I want to be living in Toronto with my family and my kids as my priority. I would very much like to be a hand and wrist surgeon practicing again in Toronto, but that may or may not be possible. I also want my business to be successful and contributing to the well-being of Canadians. I want to be contributing in a positive way to my family, to my community as well as to the sustainability of healthcare in Ontario and Canada in general. Is there anything where you would like to expand on or share? If there’s one thing I’ve learned over the past 5 years is that I have no assurances as to where my life will be in the next few years. Plans are nice but there are never any guarantees. I am in a very good place now and I am happy about the adjustments that I have made as I adapted my life to meet my priorities. I have had a very hard time over the past two years – I fell hard and have had many disappointments. I made mistakes and have had to face the consequences of my actions. I am actually grateful for that. I have accepted responsibility and learned how to become stronger and become the best person I was meant to be. I have materially a lot less than I had 5 years ago, but I am happier than ever.